Grand Homes offer new homes for sale in the Dallas and Fort Worth metroplex. They offer new construction on a variety of floor plans. You will find award-winning designs and floor plans available. Many luxury home communities offer neighborhood fountains and ponds with tree-lined homes for sale. They also offer over 25 years of experience building luxury homes in the DFW metroplex. You will find countless choices to fit your lifestyle. They offer over 35 communities located throughout the Dallas and Fort Worth area and the surrounding cities. Choose your community and floor plan, and new construction will begin. 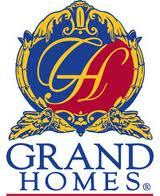 Grand Homes offers luxurious features such as large lots, three-car garages and radiant barrier roof decking. You will find energy-efficient appliances and energy-saving insulation. Dallas and Fort Worth offer many local events, attractions and fine dining. Both cities have a lot to offer. Choosing new homes for sale in the DFW metroplex will give you access to many community activities. The DFW metroplex is home to live music, Western art culture and many art museums. You will find the downtown areas to be popular places for people to gather and attend community events and festivals. The DFW metroplex offers several lakes for boating, camping and fishing. You will find miles of scenic trails, biking paths and jogging trails. Recreational activities encourage wellness and fitness for people of all ages. City parks offer soccer, football and baseball facilities. You will also find water parks and theme parks throughout the metroplex. The school district's information can be found online. You can find lunch menus, bus routes and school policies. They also offer many volunteer opportunities within the school district. The DFW metroplex offers many senior citizens programs. The Parks and Recreation Department maintains picnic pavilions, tennis courts and sandlots. They also offer frequent park cleanup events where residents can help maintain the parks. There are miles of bike trails that take you through the scenic Trinity River and White Rock Lake. Lake activities include boating, fishing and other water activities. You will find many things to do around the DFW metroplex. The metroplex offers two spectacular zoos, Science museums and museums that feature Western artifacts. You will find a lot of free activities for the whole family.